C’est fini! 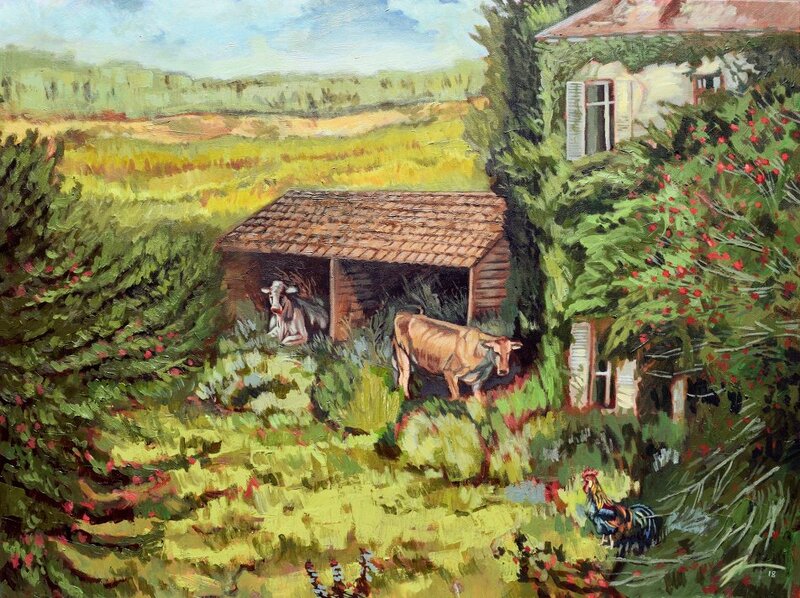 This picturesque scene developed as a commission piece for a family member who requested a French countryside/cottage image for her dining room. This assignment led me to review one of my favorite landscape painters, Gustave Courbet. Courbet liked to present himself as a “man of the countryside,” and generated a plethora of dramatic natural scenes depicting rolling hills, cliffsides, trees, animals, little towns and people of the era recreating within it. What I admire about Courbet’s work is the stark contrasts, the bold use of color, and the painterly technique/style imbued in his work. Courbet often used thick impasto mark-making, palette knives and even transferred texture using rags to create heightened detail and depth in his subjects. As I began this piece with a deep burnt umber underpainting, and developed up the layers, I referenced dozens of Courbet landscape paintings to inform my composition and decision-making. I tried to emulate some of Courbet’s techniques, to great or little extent, especially the use of texturing with the knife. What was challenging with this piece was not having one single photo reference for the composition. Instead, I had to mentally stitch together several photo references (cottage, cow, landscape, rooster, tree, etc.) and make it all work with regard to perspective. I haven’t posted much in the last few months as we have been completely consumed with the process of purchasing a home. 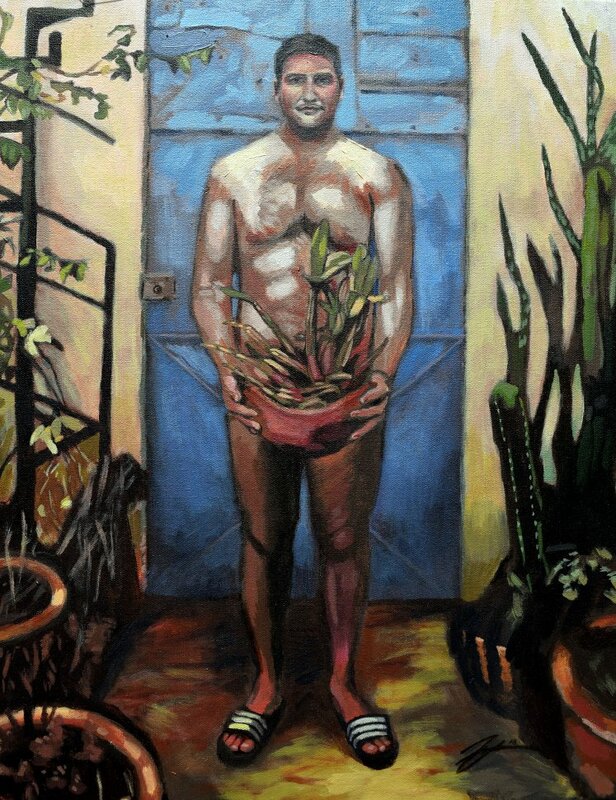 That does not mean that I have not also been busy with painting! Over the next few days I’ll post a few of my recent painting milestones.